The saying goes, “One man’s trash is another man’s treasure.” Truly said, for a number of artists are coming forward today to create stunning works of art using nothing but household trash; items we would probably have thrown into the trash otherwise. So if you are on the lookout for some inspirational ideas on how to reuse trash in your home, Dr Prem Jagyasi shares some ideas that deserve a mention. 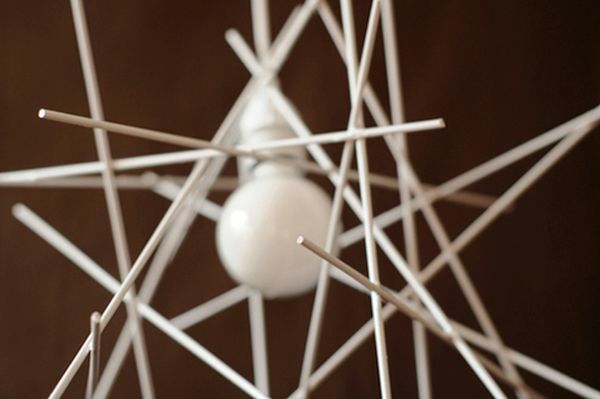 Nothing beats a creative table lamp that features a lamp shade made of household trash. A few cool examples include the old steam iron lamp from Lamponi, an ice scoop lampshade lamp, a hair dryer lamp, the ball point pen lamp by EnPieza and the pendant milk bottle lamps by Heath Nash. Butterfly wall decals can add an instant charm to the walls in your home. Need some inspiration? 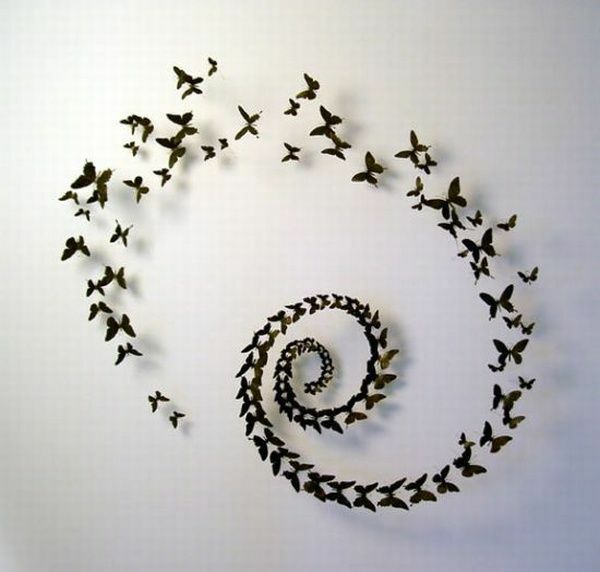 A mesmerizing butterfly spiral wall decal made out of repurposed soda cans can set the perfect example. In a bid to reduce the amount of waste that piles up in and around oceans, designer Stuart Haygarth has come up with an artistic design. 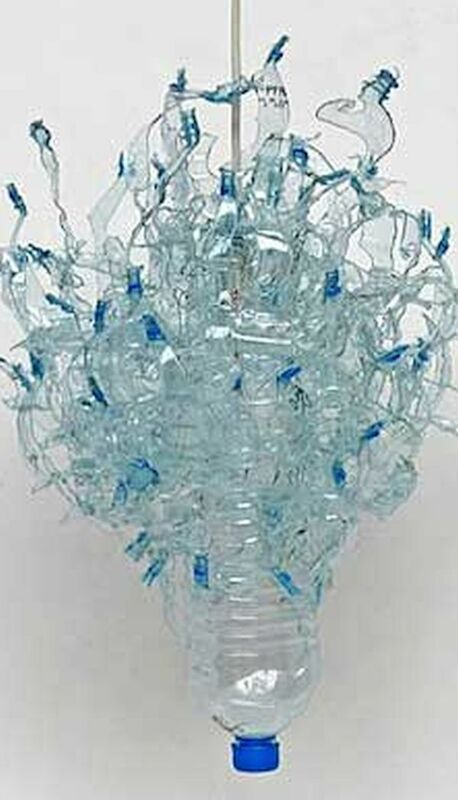 The Tide Chandelier as it is aptly named is made from waste plastic items that the tide brings in with it at the beach. A lot of industrial waste material ends up polluting rivers and the areas surrounding them. One way to thwart this is to reduce the amount of waste that piles up in these areas. Design company Scrap Lab aims to do just that by using this industrial waste to create one of a kind, creative, stylish and highly functional furniture pieces like chairs, coffee tables and ottomans. The rise of e-books has reduced the usage of paper books to a great extent. 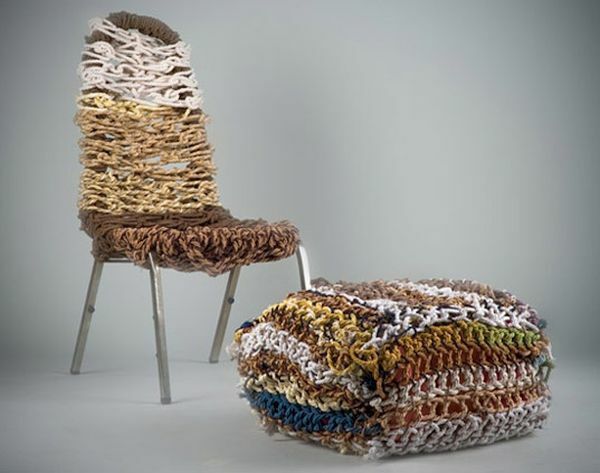 Instead of throwing all those old books in the trash, send them over to designer Alvaro Tamarit who would reuse them in a customized chair filled with beautiful designs, colors and patterns. 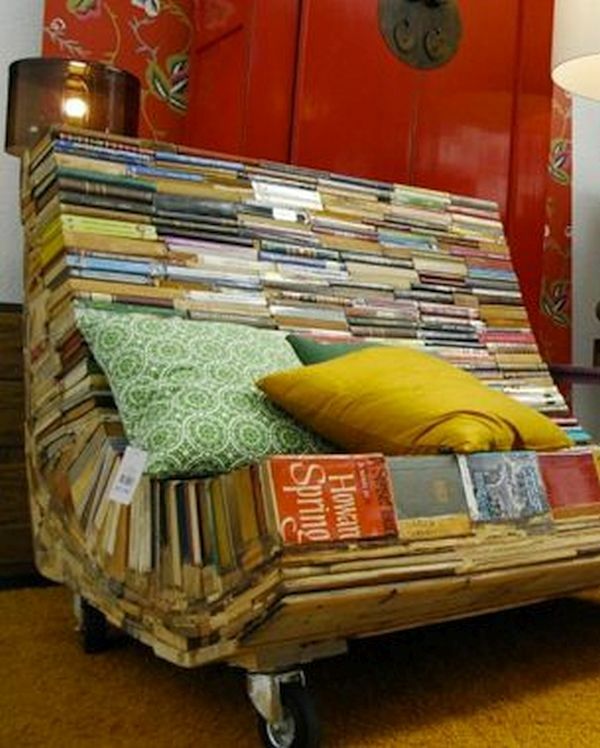 If you don’t have enough books to create your own custom chair, here’s another purpose for them. 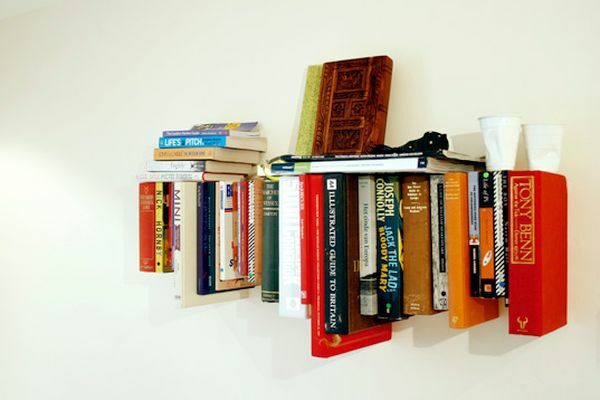 Not Tom creates artistic floating book shelves using old books. The shelf would make a perfect addition to any book lover’s home. If you have an old window lying around in the garage or backyard, consider transforming it into a DIY planter like Nathan Devine does. 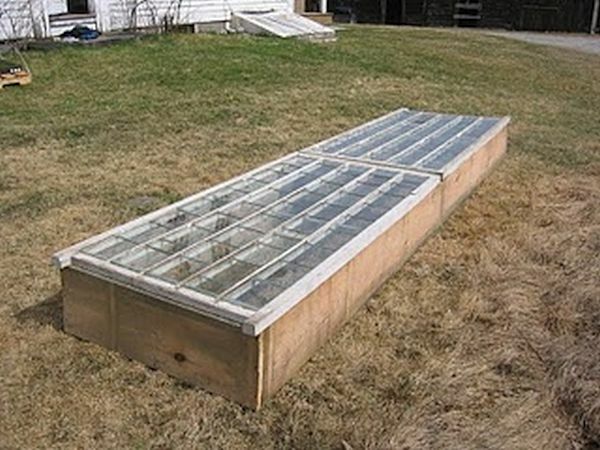 The designer has created an awesome planter that offers a cold frame for sprouting seedlings. When the plants get bigger, the glass can be opened to let them reach out. 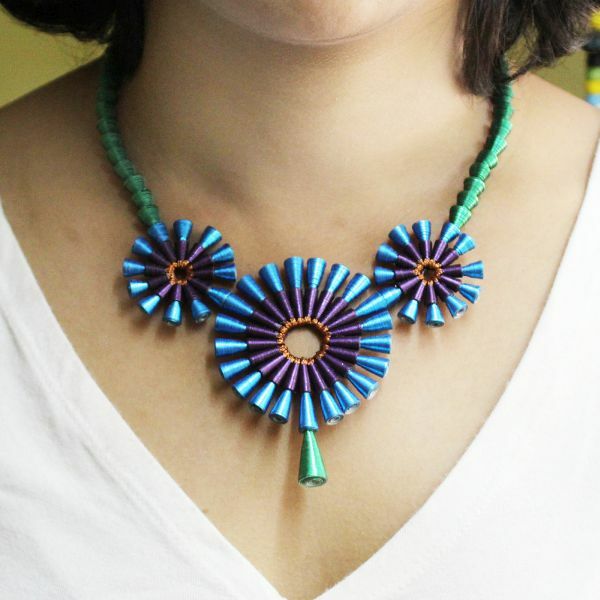 A number of designers have started creating really cool looking jewelry using trash. One such designer is TanithRohe who makes striking jewelry from used up electronics as well as paper. 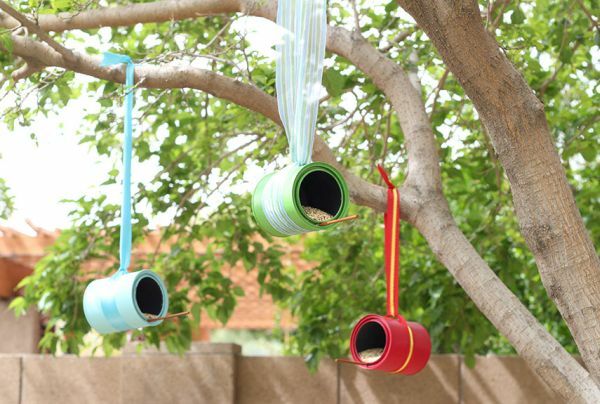 Why throw out those old cans when you can turn them into bird feeders? Cut open the front portion of the can. Twist a coil of rope around it and attach the rope to a branch to let the can swing freely. Fill the can with bird seed and watch the birds fly in almost immediately. In addition to these ideas, there are several other ways in which you can reuse trash for furniture and home décor. These include a mini bar made from an old suitcase, a jewelry hanger made from an old vegetable grater, planters made from old tires, a pocket organizer made from old jeans, and a bed headboard sourced from an old door, etc. Nothing is considered trash these days, especially if it can be reused again. 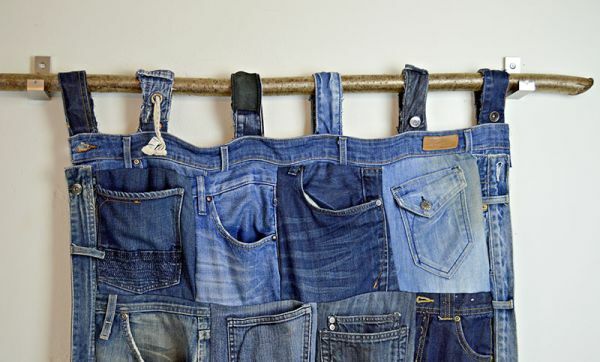 These inspirational ideas would surely make you want to hunt around your house for unused items which you upcycle into useful products.